First Thomas Kinkade Pin - A Collectibles Today Exclusive Christmas Angel Wreath Jewelry with 112 Crystals! Limited to 1,000! - Don't miss what may be your only chance to own the Thomas Kinkade 2004 Holiday Angel Pin, his very first! A collector's dream, this Thomas Kinkade pin jewelry is available only from Collectibles Today and strictly limited to just 1,000 pins worldwide! You must order now, before it sells out! More than just a fashion accessory, the 2004 Thomas Kinkade Holiday Angel Pin is also a symbol of peace, joy, and the glory of Christmas morning! 112 bezel-set Swarovski(TM) crystals coordinate perfectly with a hand-enameled bow. At its center dangles a delicate enameled angel, and 18K gold-plated accents glow with holiday warmth! Imagine holding this extraordinary crystal pin - feel its rich weight! But remember, only 1,000 pins will ever be made! Huge demand is expected for this rare first-ever 2004 Thomas Kinkade Holiday Angel Pin! Don't wait! Please order now! 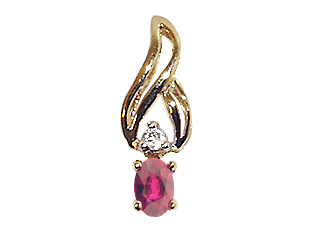 Ruby and Diamonds Pendant crafted in 14 kt Yellow Gold Dimensions: 16mm.long x 6mm. wide Stone Information: 0.30 Carats Ruby Oval 5x3 mm, 0.02 Carats Round Diamonds Diamond Quality: I Color, SI Clarity Gemstone Quality: Medium to Dark Color, Eye Clean Clarity Made in USA . Metal Available: 14 kt White Gold, 14 kt Yellow Gold. Bring the sparkle of the season to your holiday ensemble! Set includes matching 1 1/4" brooch, 1" dia. earrings with posts, and two 2 1/4" long barrettes, all of silvertone metal, trimmed in green glitter. Imported. Porcelain Angel Pin. As a special thank you for your order of $100 or more (merchandise only), you will receive this "catalogue exclusive" porcelain pin. What if your order doesn't total $100? Simply order this charming pin. Exclusively Ours! Imported 2x2". 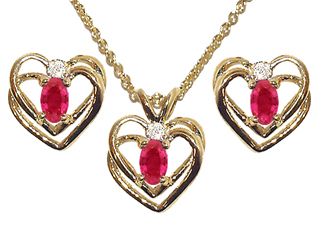 Ruby Heart Shaped Pendants crafted in 14 kt Yellow Gold Dimensions: 10mm. wide x 14mm. 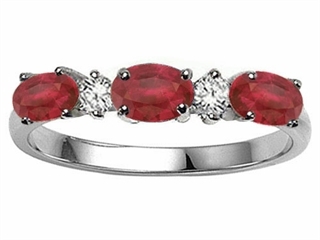 long Stone Information: 0.30 Carats Ruby Oval 5x3 mm, 0.02 Carats Round Diamonds Diamond Quality: I Color, SI Clarity Gemstone Quality: Medium to Dark Color, Eye Clean Clarity Made in USA . Metal Available: 14 kt Yellow Gold, 14 kt White Gold. Mr. Christmas Ballerina Musical Jewelry Box Brings Your Ballet Fantasies to Life! An Enchanting Gold Label(R) Collectible! - Every young girl dreams of becoming a beautiful ballerina, and now you can relive your childhood fantasies with this lovely animated music box. Carefully crafted of wood, it's finished in feminine ivory and pink tones, with multiple compartments to safeguard your jewelry. But the centerpiece of this charming wooden music box is the inset animated ballet scene, where ballet dancers rotate against an elaborate pink and blue backdrop. This Gold Label(R) collectible animated ballerina musical jewelry box from Mr. Christmas plays 15 Christmas carols and 15 all-time classic melodies. It's sure send your imagination soaring - order now! 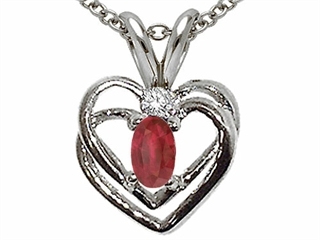 Crystal Jewelry, a Romantic Lenox(R) Collectible Jewelry Piece, Showcased in a Crystal Heart Pendant with Genuine Ruby - The classic heart. A timeless symbol of love - tender and eternal. A crystal heart pendant. Original yet enduring. Simple yet sophisticated. Definitely romantic! Show that special person in your life how much you care by clasping a glittering, heart-shaped ribbon around her delicate neck. 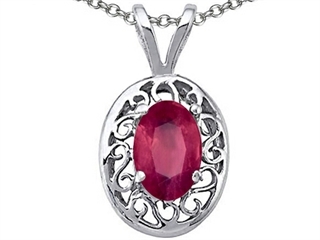 This shimmering crystal jewelry pendant from Lenox(R) collectible jewelry will fill your heart with love. Full-lead crystal, genuine ruby, accented with 24K gold! 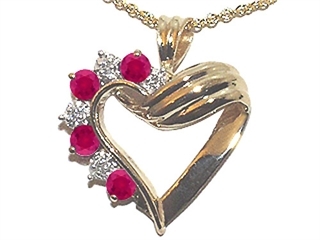 Strong demand is expected for this crystal heart pendant. Order now!